Help yourself to free shipping while helping our Community. 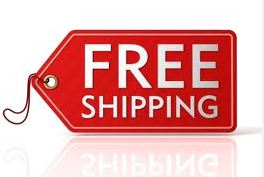 Most of our vendors are offering free or reduced cost shipping during the holidays. The holidays are right around the corner and our updated site makes it even easier for you and your friends to help your favorite organizations. We've added social sharing on each organizations Give as you Get page and the site now looks great on all devices. It's still super easy to use, but now it will be much easier for you to have your friends help your favorite group. Black Friday and Cyber Monday are almost here. These are the biggest on-line shopping times of the year and the best opportunity for you and your friends to help through Give as you Get.